Start and stop sessions to collect the standard analytics displayed in the console reports. Collect custom analytics specific to your app. 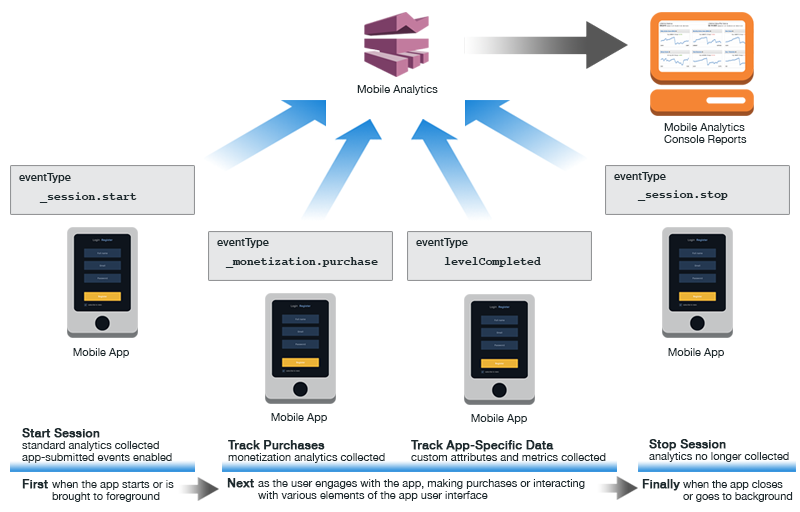 The following diagram shows how a mobile app sends events to Mobile Analytics at different points in the execution of the app. This interaction enables the collection of data used to produce the analytics reports. You can have up to 1,500 unique custom events per app, up to 40 attributes and metrics per custom event, and an infinite number of attribute or metrics values.